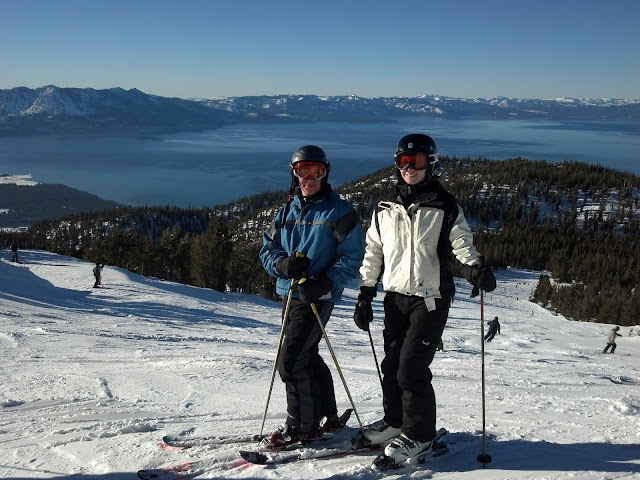 Sorry for the lack of posting this weekend, but I was in Tahoe skiing (picture below)! Also, since I needed actual warm clothes to wear in Tahoe, I didn't bring clothes that were part of my 30 x 30, so I don't have any outfit pictures from the trip. I had never been skiing out west before and it was everything I imagined it would be. The funny part is that the native Californians who I was with said that this weekend was actually not that great for skiing, but, because all I've ever skied before is Vermont ice, I thought the skiing was amazing! Do any of you guys ski? Where do you like to go? My favorite part of the trip was being able to ski while looking at this amazing view. You can't get a view like that in Vermont, sorry I'm not sorry! hope the trip went well! 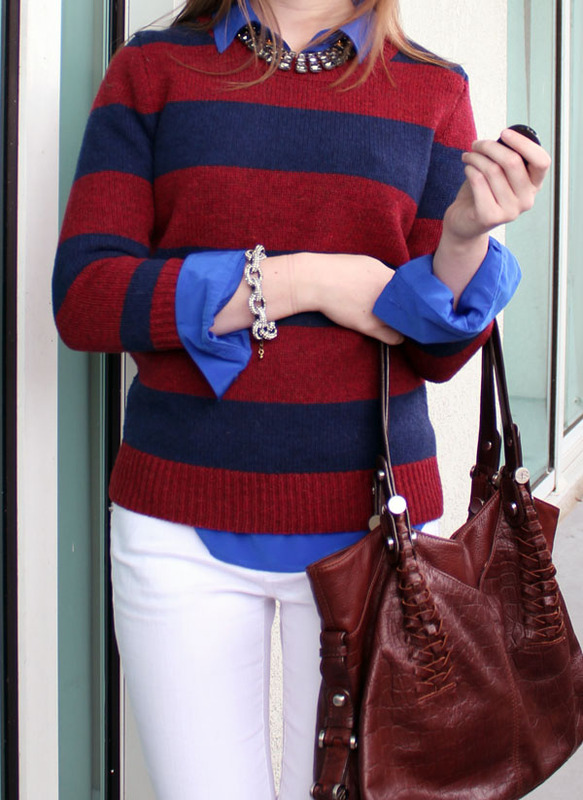 Cute outfit, and very preppy. So much fun! I'm a huge fan of Tahoe and was able to ski there a lot while in college at SCU - such a gorgeous place. I also really love Whistler. And anything in Montana/Wyoming. Or basically anywhere with good conditions. This girl ain't picky if it means a good day on the mountain! And I love this outfit - it's so patriotic without being in your face. I especially love the two blues together! Dahhhhling I'm so saaahhhhrry I didn't post, I was skiing in Tahoe. It's official, love how that sounds ;) Hope you had a wonderful weekend! hahahah I agree with Sam - sorry I wasn't around, I was busy being fabulous! I've never skied :( I have always wanted to learn but never had the opportunity. and now about the clothes: I love that blue shirt and it looks like theres some for like $15 right now! Are you liking how it fits? Oh man, I didn't mean to come across as snooty or anything! Sorry! I like how the shirt fits - it is very "forgiving" and has a nice loose fit. Also popover shirts like this are supposed to fit women with larger busts better than regular button down shirts. I love this outfit! Normally I avoid red, white, and blue together at all costs, but you've managed to wear the three colors at once without even bringing July 4th to mind!